Samsung and Sony have already thrown their hats into the wearable tech ring, and Apple is expected to do so in the next year, but now word emerges that silicon giant Intel is also plotting a move into wearable devices and has made a couple of recent hires that indicate it is considering the wrist as prime real estate. 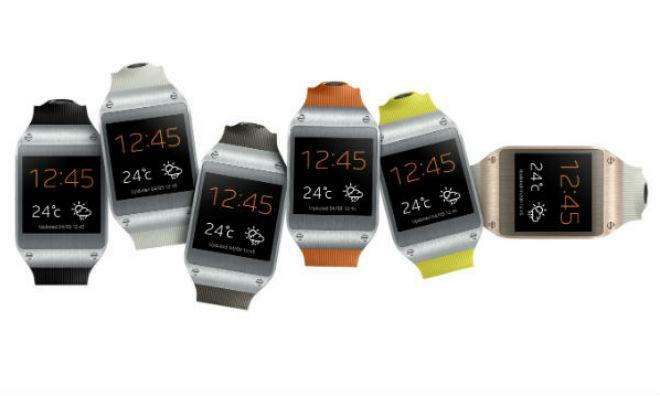 Samsung's Galaxy Gear smart watch is but the latest in an increasingly crowded wearable tech segment. With little fanfare, Intel has hired on Hans Moritz and Steve Holmes, according to Intel Free Press. Moritz, the more recent hire, previously worked for Oakley on that company's Airwave heads-up goggle, Switchlock series eyewear, and a separate watch program. Holmes was quietly brought on last year, having been lured away from a top engineering and design job on Nike's Fuelband. Prior to helping design Nike's biometric bracelet, Holmes worked for both Palm and Apple. At Palm, he aided in the development of the Trio and the ill-fated Pre. At Apple, Holmes was lead product designer for the G4 Cube. Intel named Holmes vice president of Intel's New Devices Group. That group is tasked with developing Intel-branded products to address emerging product trends. It is part of a recent shift in Intel's strategy that has seen the chipmaking giant looking toward making more of its own products, including an Internet television service and an accompanying set-top box. In a recent interview, Holmes would not elaborate on what Intel might produce with regard to wearable technology. He did, though, express some interest in the way that hardware must integrate with software in order to create a compelling product. "I come from the hardware side," Holmes said, "but even in the best of scenarios many of these objects are going to end up buried in a desk drawer in five years. It's the software and the data that can live on forever if you make them valuable. "If this [Fuelband] didn't connect to Nike+ or a smartphone running an application that turns the data into a rich visual display, it would be much less interesting. It provides a lot of value because it's handing off meaningful data that gets processed and shared." Should Intel enter the wearable technology segment, it would be one among a seemingly ever-growing number of tech giants. A market that was once largely the province of Sony and smaller players like Pebble has seen many more players expressing interest. Last week, Samsung showed off its Galaxy Gear smart watch accessory, an app-enabled device with sensors and a camera built in. Google bought a smart watch maker last year, though the search giant has not yet shown off any products. Microsoft, LG, and numerous other firms are also thought to be working on similar offerings. Apple, too, has reportedly been testing the smart watch waters. Earlier this year, news broke that the iPhone maker had assembled a team of 100 personnel to work on an iWatch. The company has since filed for trademark on the term iWatch in multiple countries. Intel was previously rumored to be working with Apple on that device.